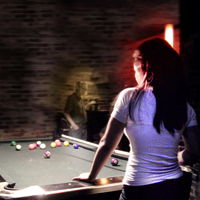 When it comes to purchasing your pool cue brands, you want to know that it's going to last. All the cues in this category feature lifetime manufacturer warranties. If you purchase one of these cues you can rest assured that the manufacturer will stand behind their work by repairing or replacing any cue that suffers a manufacturer's defect. Browse our billiards cues for sale that feature a lifetime warranty. Brands include Lucasi, Players, Viking, and McDermott.